This supplement may benefit cardiovascular health. This product contains amino acids, antioxidants with Co – enzyme Q10 for cardiovascular improvement because they have greater bioavailability and lead to greater improvement in vascular function. The product supports cardiovascular health and enhances blood flow. Daily use of this supplement helps keep the arteries clean, bring flexibility to the walls of the arteries and reduce blood pressure. Cardiovascular disease is one of the leading causes of death throughout the world. A common feature of cardiovascular risk factors, including hypertension, obesity, dyslipidemia, insulin resistance, and glucose intolerance, is the increase in oxidative stress. High blood pressure, diabetes, abnormal cholesterol, stress, smoking cigarettes, abdominal obesity, sedentary life style, eating too few fruits and vegetables, and abstaining from alcohol. Amino acids are the basic building blocks of the body. Amino acids lower cholesterol levels and heart heath. Lycopene is a great antioxidant and use in cancer prevention and cardiovascular disease. Co enzyme Q 10 might help lower your blood pressure, keep levels optimized, and keep your heart in tip top tick tock shape. Acetylcysteine also known as N-acetylcysteine or N-acetyl-L-cysteine (abbreviated NAC) is a derivative of the amino acid L-cysteine. NAC is a powerful antioxidant. Antioxidants help prevent inflammation and cell damage, making it potentially useful for a number of conditions. Various outside stressors can wreak havoc on the body such as cigarette smoke, pollution and alcohol. They increase the production of free radicals, unstable compounds that damage healthy cells. NAC can cause the reduction of lipoprotein that is associated with increased risk for atherosclerosis and thrombosis. In a study, there was a 70% reduction in the levels of lipoprotein. Two small studies have also suggested lowering of serum homocysteine levels with the administration of NAC. NAC is a potential sulfhydryl-group donor and hence can enhance the intracellular concentration of cyclic guanosine monophosphate leading to smooth muscle relaxation and vasodilation. Lycopene is a fat-soluble red pigment produced by plants and some microorganisms. It represents the major carotenoid in tomatoes and is found to a lesser extent in guava, pink grapefruit, watermelon and papaya. In contrast to other carotenoids, this lipophilic acyclic isomer of b-carotene lacks vitamin A activity and, although it represents the most predominant carotenoid in human plasma that is enriched in (very-) low-density lipoprotein fractions. The Protector and Restorer of Health Glutathione is a protein that is found inside every cell of the human body, with the highest concentrations found in the liver. Glutathione was first discovered in 1888, but it was not until 1984 that its metabolism in the body began to be thoroughly investigated. It is one of the most powerful antioxidants in the body as it is the only one that is intracellular. It has the ability to maximize the activity of Vitamin C, Vitamin E and CoQ10. Glutathione is a powerful regenerator of immune cells and is easily the most important agent in keeping the body detoxified and healthy. Glutathione is vitally important in the synthesis of DNA and the maintenance of DNA, the synthesis of protein and amino acids, so the body can utilize them effectively. Also glutathione plays an important part in the removal of synthetic chemical toxins and carcinogens and resulting free radicals whilst playing a significant role in optimizing the immune system. In addition, it is essential in protecting cells from oxidization and activates enzymes vital for the removal of all toxic build up at the cellular level. Glutathione can help you manage homocysteine levels and provides health benefits for your cardiovascular system. Coenzyme Q10 is a natural substance found in the body, very similar to a vitamin that assists in normal cell function. Particularly it is important in keeping your internal electric system that tells your heart when to beat, in top form. Coenzyme Q10 provides beneficial effects in heart conditions such as congestive heart failure, high blood pressure and blood vessel complications due to surgery. It may also decrease the risk and it can also reduce the negative side effects of drugs on the heart and other organs. 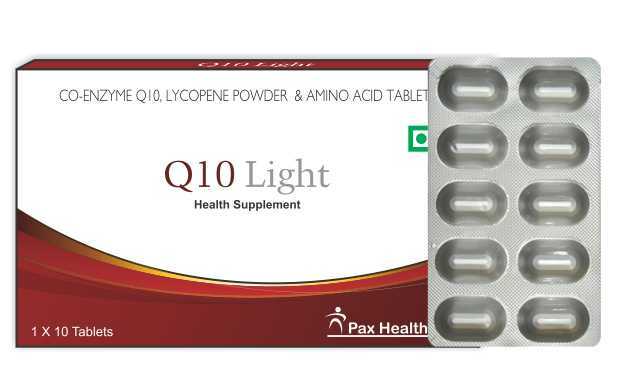 Coenzyme Q10 is used to improve a variety of health conditions such as heart problems, diabetes, cancer, Parkinson's and Huntington's diseases. In the case of heart failure this nutrient optimizes bioenergetics in the heart muscles' mitochondria. It's very important role in the management of other cardiovascular problems processes, including endothelial dysfunction, hypertension, heart attack, and the ischemia – reperfusion injury that accompanies heart attacks and strokes. L-ornithine is a non-essential, non-proteinogenic amino acid. It is produced during the body's citric acid cycle from L-arginine. This amino acid has an important role in the urea cycle. Ornithine is required for the production of proline, glutamic acid and citrulline. It plays a central role in the urea cycle. Ornithine can be changed to L-arginine through in the production of urea. It assists in detoxification and therefore contributes to liver health. Ornithine changes to arginine in the body very slowly. It stimulates the hormone distribution and production of insulin, generally improves the regeneration capabilities of the body and leads to a noticeably increased vitality. In men, this also has the advantage of being a potency-booster. It is important for detoxification and indirectly supports muscle growth. This amino acid can also assist with wound healing and combat stress and fatigue. L-aspartate is a form of L-Aspartic Acid – an amino acid and serves as a building block for proteins in the body. L-aspartic acid (L-Aspartate), the L isomer of the aspartic acid, is one of twenty three proteinogenic amino acids. It can also be used for energy metabolism, in the synthesis of other amino acids and to make D-Aspartic Acid, which functions as a neurotransmitter. It plays an important role in the citric acid cycle, or Krebs cycle, during which other amino acids and biochemicals, such as asparagine, arginine, lysine, methionine, threonine, and isoleucine, are synthesized. Aspartic acid gets its reputation as a treatment for chronic fatigue from the crucial role it plays in generating cellular energy. Aspartic acid moves the coenzyme nicotinamide adenine dinucleotide (NADH) molecules from the main body of the cell to its mitochondria, where it is used to generate adenosine triphosphate (ATP), and the fuel that powers all cellular activities. Carnitine tartrate is the supplement form of carnitine, a substance that plays a role in energy production. Carnitine is a dipeptide made up of the amino acids lysine and methionine.Carnitine's main function has to do with energy chemistry, which takes place in our cells' mitochondria (energy factories). The biochemical reaction for energy production and ATP (the molecule of energy) is called the Krebs cycle. Carnitine transports long-chain fatty acids into mitochondria, where fats are turned into energy. In the process carnitine removes toxic fatty acids from cells. Throughout most of the body, glucose is the main fuel for the Krebs cycle, although essential fatty acids are the main fuel for the heart. Carnitine lowers triglycerides, which are associated with poor circulation and myocardial infarction (heart attack). It prevents the solidification of cholesterol in old age. Carnitine affects the blood lipid levels positively: every person who supplemented with carnitine lowered their cholesterol levels. The vascular protective cholesterol was thereby better preserved by the people who took carnitine than by the people who were in the placebo group. Carnitine is found in almost all of our body's cells and is particularly concentrated in skeletal tissue. It plays a crucial role in helping our body burn, or oxidizes fat for fuel. So that body can use fat as an energy source, carnitine transports long-chain fatty acids into specialized fuel manufacturing centers called mitochondria. Once inside, the mitochondria can burn the fatty acids to produce energy. In addition, carnitine transports toxic compounds out of the mitochondria to prevent accumulation. The rational use of this supplement, combined with a healthy diet, will contribute substantially to health promotion and work in balance and synergism on protection and integration of the physiological functions of the body. The product is possibly safe for most adults. There is no disadvantage associated with the product if taken under the recommended usage. However, some side effects may be possible: Abdominal cramps, abdominal pain, and allergies.